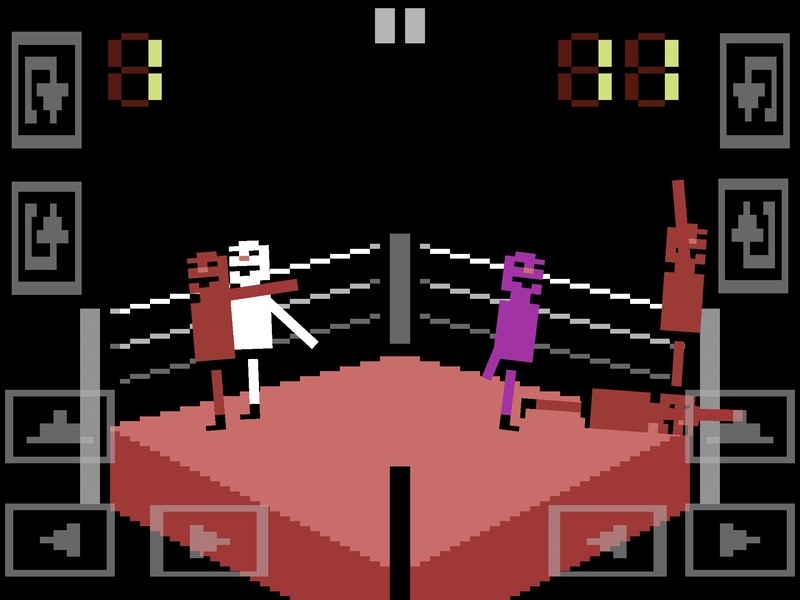 Wrassling is a funny little game that you can play to forget your worries. 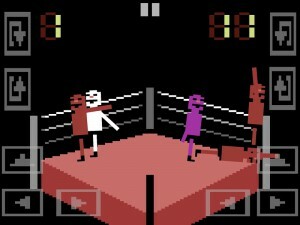 You can play with or against another person and knock pixelated wrestlers out of a boxing ring. One reason we love Wrassling is that many things can take an unexpected turn in the game. When you fling a guy out of the ring, he can still fly back into the ring. When you’re knocking guys out like crazy, the edges of the ring will disappear and down comes a bulky boss. In Wrassling you also collect hats that you can wear in games. Hats can be funky like a fishbowl or fancy like a top hat. Keeping a hat on while scoring points gives you extra points, but the hats can easily be knocked off your head. We love Wrassling and play a few games every day, because it has quirky, absurd gameplay. This entry was posted and tagged 2-player co-op, What We're Playing, Wrassling on June 26, 2015 by admin.